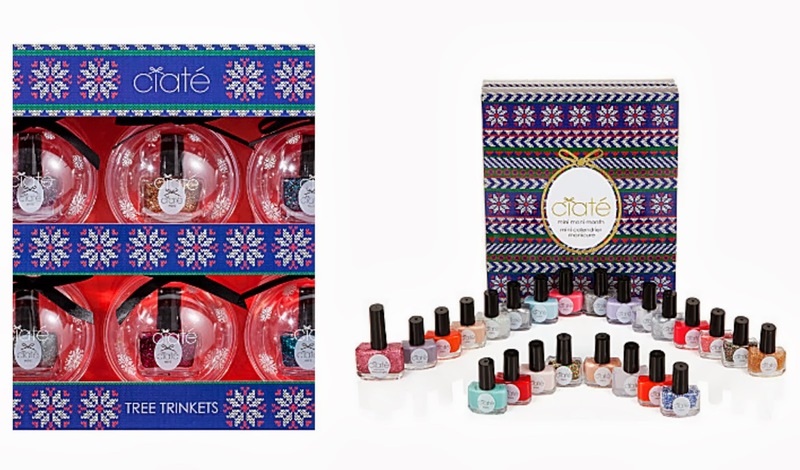 I have just about covered every beauty novelty advent calender there is this year but couldn't fail to mention the Ciaté Advent Calender for 2013 nor fail to mention the cute little nail polished baubles either. 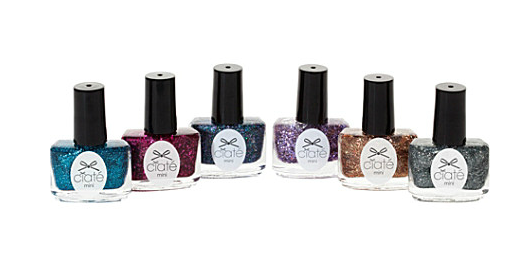 Much like years before Ciate have launched the Mini Mani Advent Calender for 2013 which includes a whopping 17 of Ciaté's best selling mini Paint Pots, four mini Caviar blends and the kicker - three extremely special exclusive Paint Pot glitter shades you'll not find anywhere else EVER! Okay I'm being a little dramatic but the three glitter shades will not be re-produced again and is the biggest temptation in terms of swaying me to purchase the calender or not. At £42 it isn't cheap and I know it is only October but it will sell out quickly so to avoid disappointment I would purchase sooner rather than later. It is exclusive to Selfridges at the moment - link. 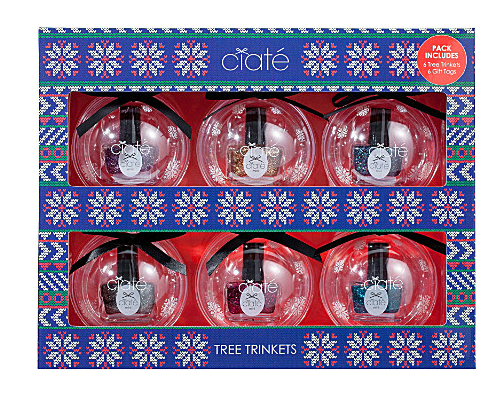 If an advent calender is not for you then there is also the Ciaté Tree Trickets which are six clear Christmas tree baubles each with a mini Ciaté nail polish inside. They really are beyond cute and the perfect addition to any girls Christmas Tree. I plan on purchasing them and using them to prettify presents for my best friends. The plus side is that the baubles can of course be re-used and re-filled be it with another nail polish, sweets etc. Again these are exclusive to Selfridges and cost £30 for six - link. What if any novelty Christmas beauty item or advent calender do you have your eye on? They look so cute inside the baubles! Definitely wouldn't buy this though, way too expensive considering I probably wouldn't use half of those colours there. 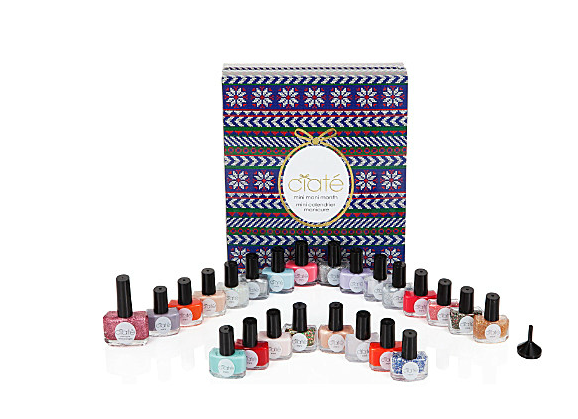 FYI similar but not exactly the same mini mani calendar is a tsv on qvcuk today. It's £32 plus delivery. Oh god would absolutely LOVE but have already treated myself to the limited edition Flowerbomb you posted about earlier this week! Can't wait to get the calendar! Nail polish instead of chocolate :) yey!! !